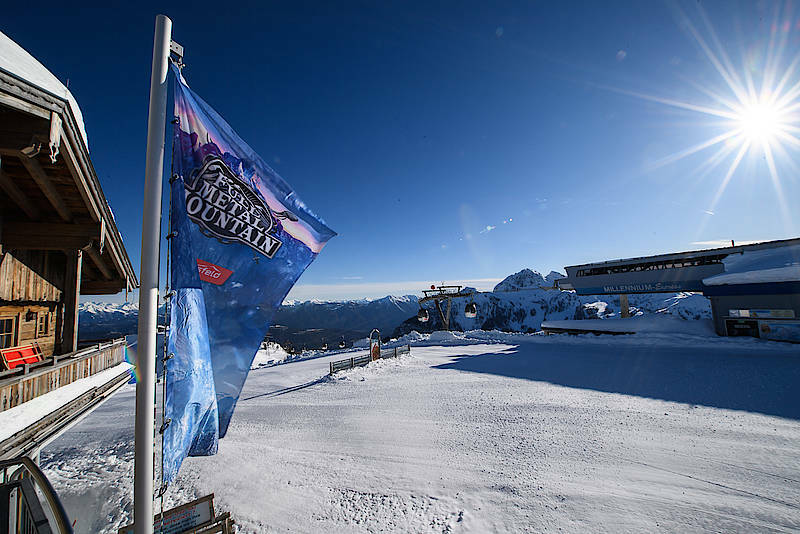 After three successful editions since 2016, Full Metal Mountain – Europe’s hardest and loudest winter holiday – is going to take a break in 2019. 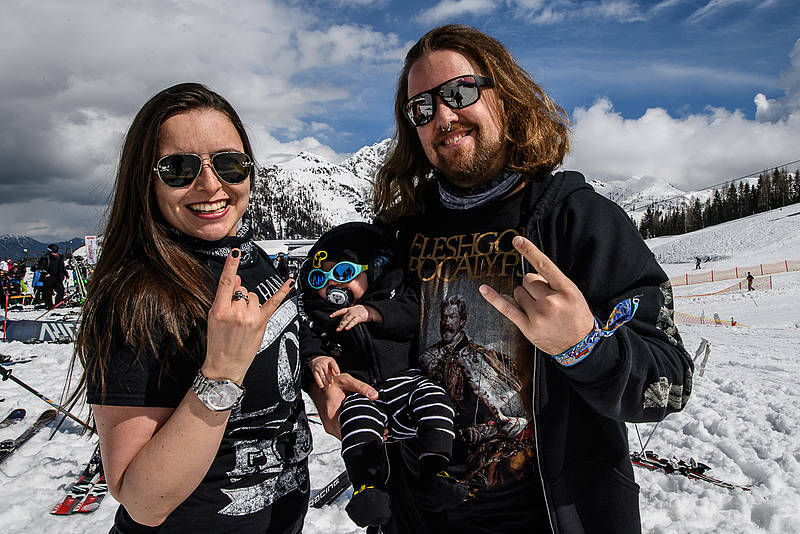 Apart from conventional après ski, the past three years have enabled to experience many unforgettable moments, international top acts from the Metal scene, epic parties, a baby and a lot of fun on the slopes. Our special thanks go out to all the people, partners and authorities of the Nassfeld region, where we were welcomed with open arms. Our “creative break” will enable a further development of this unique event, based on the feedback from you, partners and the Nassfeld region. The date for the new edition hasn’t been decided yet, but we are going to inform you as soon as possible! we hope you all came home well. Thanks again for the great week with you! 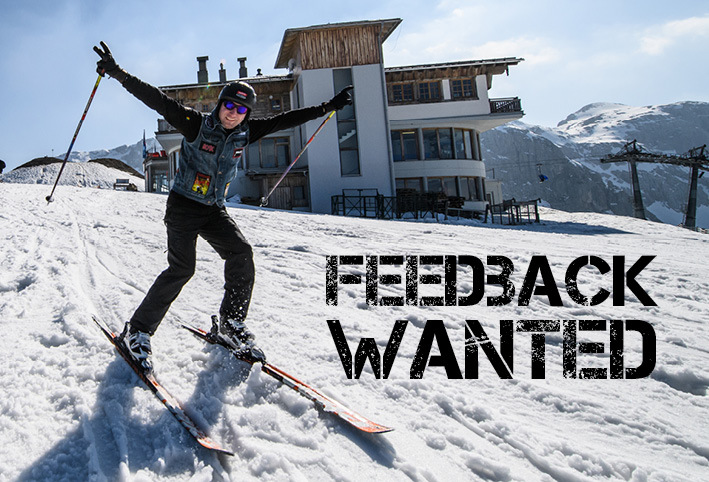 Your feedback is very important to us, so we created a small survey and hope you give us 10 minutes of your time to make Full Metal Mountain even better. Go to the survey HERE . We look forward to engaging you to continue the heavy metal winter vacation of 2019. The partnership with the municipality Tröpolach, the mountain railways, hotels and regional tourism organizations as well as the companies of the FMM GmbH should be continued in any case. All partners experienced so many emotional and great moments in the last three years, which clearly and unequivocally extends to a continuation of this project in the Alps. For FMM 2019, there will be changes that will make the offer more flexible and attractive in order to fulfill the wishes of the fans with more options. In addition, the responsible persons hold intensive and innovative discussions in order to continue working on the basis of the enthusiasm of the guests and to optimize the concept. There were also news from our regular guests Tanja and Alex this year. At the first edition of the Metal winter holiday 2016 the two get to know each other, the second time they love each other and this year they get to know Baby Henry the Full Metal Mountain. "We are very welcome, the FMM family has a small receiving hat", find the new parents. Further information about FMM 2019 will be announced soon. The presale start is planned for mid-June. We are very grateful for your feedback. A survey will be available on Monday, April 9th.